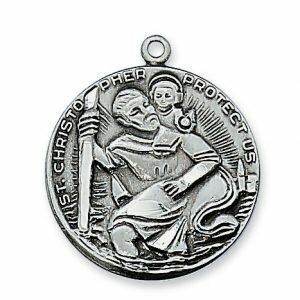 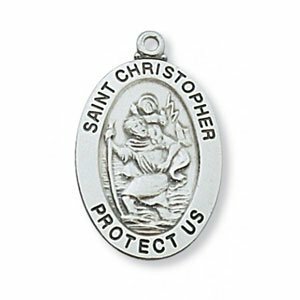 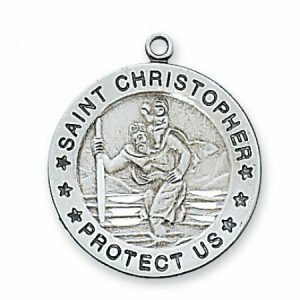 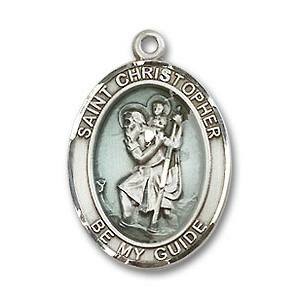 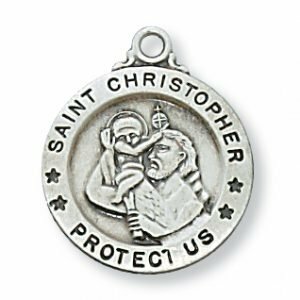 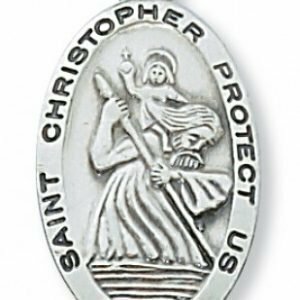 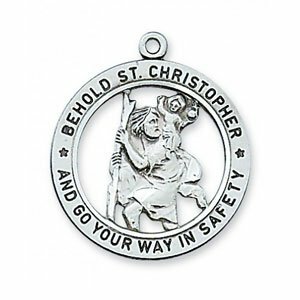 This sterling silver Saint Christopher medal is a medium size; it measures 3/4″ in diameter. 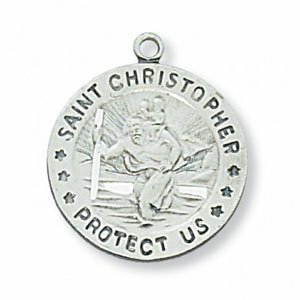 The medal includes an 18 in. 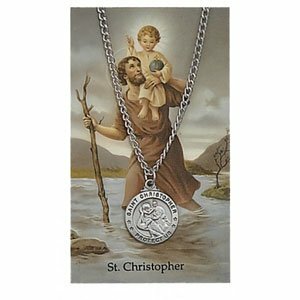 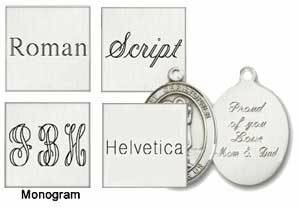 Rhodium Plated Chain and it also comes with a Deluxe Gift Box.